"We were on a break!" 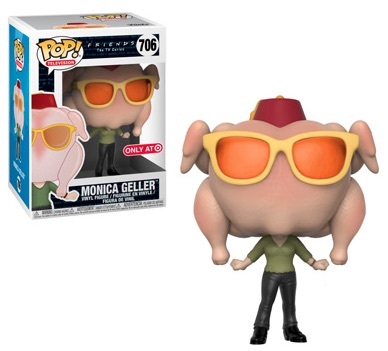 If you understand this reference, then you are likely to appreciate the line of Funko Pop Friends vinyl figures. 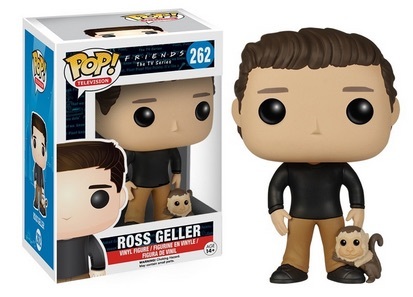 Showcasing the main characters, the Friends are all available with options for Ross, Rachel, Monica, Chandler, Joey and Phoebe. 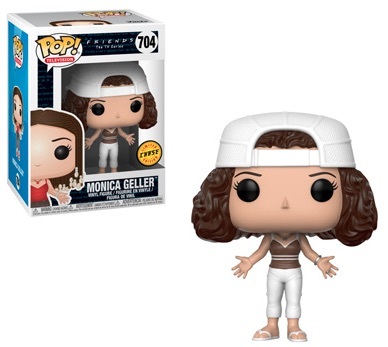 Focusing on the earlier part of the popular series, Funko Pop Friends wave one includes a unique accessory with each character. 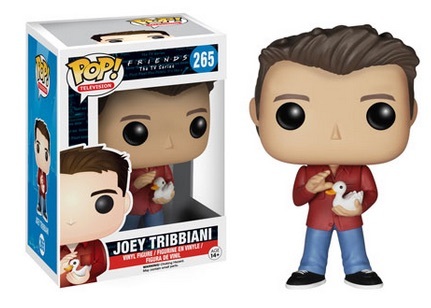 Chandler and Joey hold their pet duck and chick. 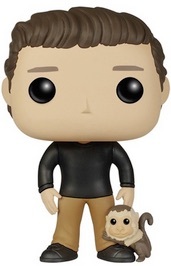 Ross is paired with his monkey companion, Marcel. 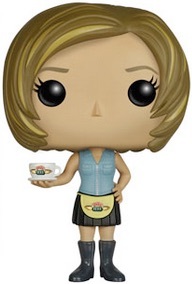 Although she worked in fashion for most of the show, Rachel's figure is dressed as a Central Perk waitress with an apron and coffee mug. 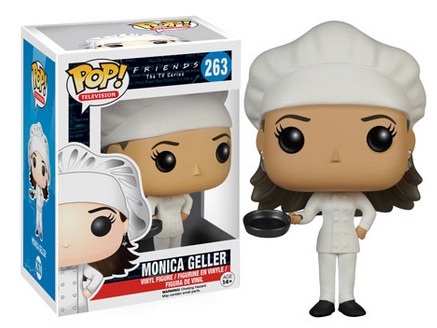 Lastly, Monica is decked out in full chef's gear with a frying pan and Phoebe comes with a guitar and perhaps a rendition of "Smelly Cat." 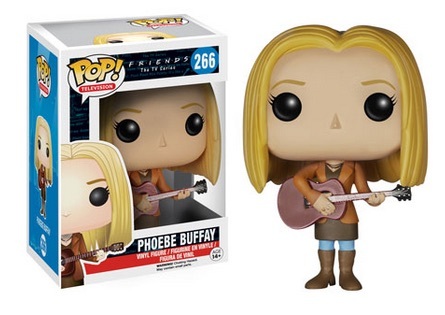 Buy Funko Friends figures on Amazon. 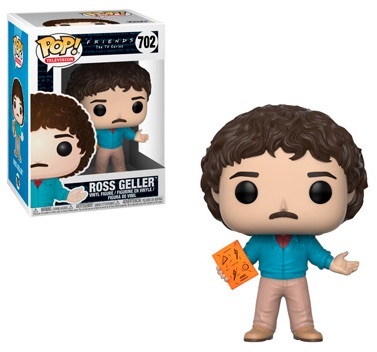 Although the Pop! 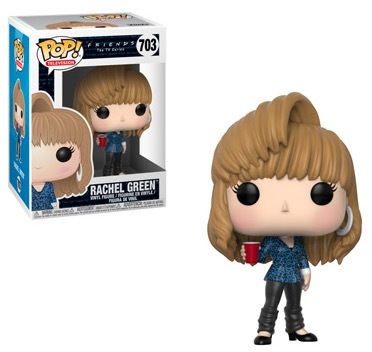 figure design is fairly similar across the entire run of collectibles, the specific hairstyles, clothing and accessories make it easy to distinguish the Friends characters in the Funko Pop! Television set. 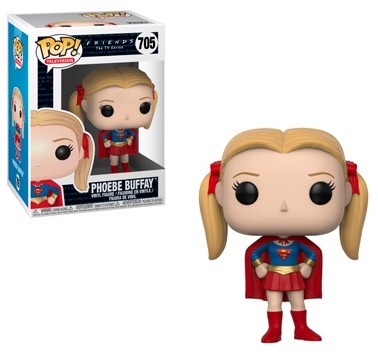 Funko Pop Friends Wave two brings '80s flashbacks, Pheobe as Supergirl, and Monica having various hair problems. 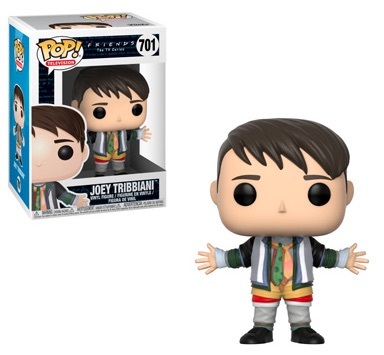 Plus, could Joey be wearing any more clothes? 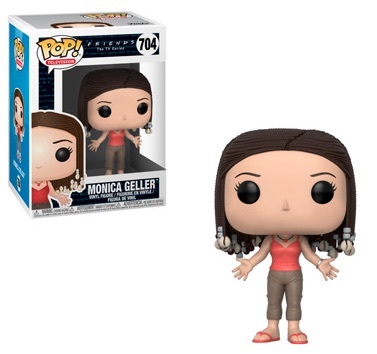 Click on the listings to shop for figures on eBay or Amazon. 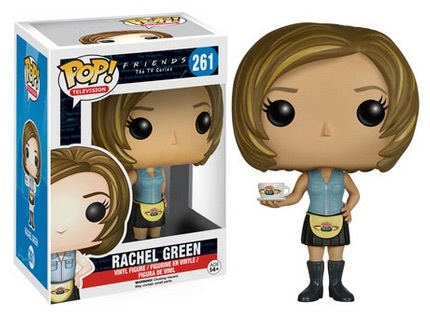 Order Funko Friends S2 figures on Entertainment Earth. 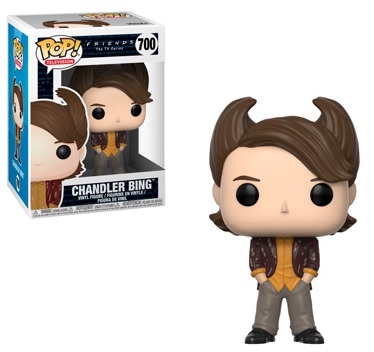 Chandler Bing (Friends) Funko Pop! 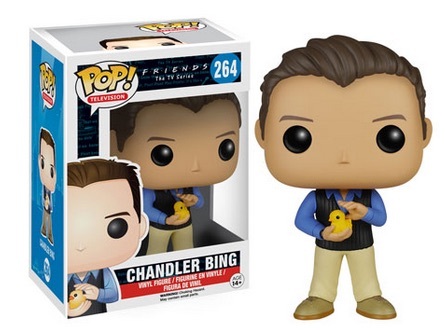 Friends TV NBC Show Funko Pop Vinyl Full Set Complete Action Figure Vaulted!